How do you see the Martech market evolving over the next few years? What do you see as the single most important technology trend or development that’s going to impact us? 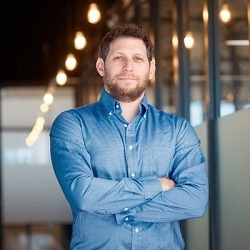 These are just a few questions Alon Leibovich, BrandTotal’s CEO addressed in an interview conducted by MarTechcube,a publication focused on the Martech arena. Have a look at the interview here in more depth, and gain insights on Alon’s experiences as an entrepreneur in Martech and how he remains competitive in such a proliferating marketplace.